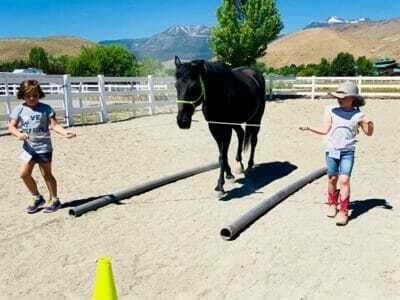 Leading a horse is more than just dragging him or her along behind you. It should be a gentle, benevolent guide from point to point with dignity and integrity filling every step. 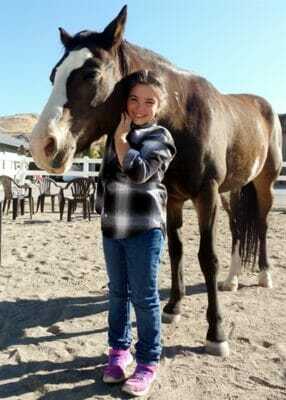 At LEAD (Leadership, Education, and Active Development) with Horses in Reno, Nev., horses and therapists lead local children and adolescents in just such a way. Whether it’s a boy in foster care or a girl with a social disorder, be they rich or poor, LEAD accepts them all into the magical world of equine therapy. Casey Wold and Jeane Spada-Allgood met as therapeutic equine instructors, and in 2013, the pair founded LEAD with Horses with the goal of serving foster children, youth at risk, and other underserved populations. As of today, not one person is turned away from LEAD due to inability to afford it. This special string of horses has a deep residual impact on the lives they touch. Take, for example, a vivacious 5-year-old boy named Brayden, who struggled to manage his energy and emotions. Brayden entered foster care as a baby, and at age 2, he was adopted by his grandparents. He had trouble at day care and at home managing social interactions and dealing with anger, especially when asked to do things. Brayden’s grandparents learned about LEAD from a flyer at Brayden’s school as a result of the grant-funded flyers placed in schools so that parents would be aware that equine therapy was even a possible remedy for special needs. After therapy at LEAD, Brayden showed a marked difference in his ability to process emotions. He learned to stop, think, and verbalize. This change can best be described by Brayden himself: “I am feeling love because I love my horse.” Because of donors like the Parelli Foundation, Brayden has a new lease on life. LEAD also hosts a community event that actually involves riding horses. The annual Horsin’ Around Tournament is held on Labor Day and is open to all ages. “Horse trainers, including local licensed Parelli Professionals, volunteer their time; businesses provide sponsorships and prizes; and people from all over the area come out for the day. 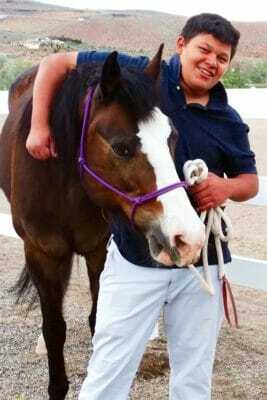 There are activities for the kids, program horses to meet and groom, music, and food. At the heart of the event is a horsemanship tournament. It essentially covers the three savvies: Online, Liberty, and Freestyle. Entrants can participate in any or all categories. One of the best parts about the event is the feeling of camaraderie. In the spirit of Parelli Natural Horsemanship, the competition is friendly and supportive,” said Spada-Allgood. Looking to the future, LEAD with Horses would like to expand and host family sessions. Since family systems are so vital to healing and learning, the organization hopes to tap into it. Of course, family support is certainly a luxury in the realm of youth at risk, and not a necessity. Nonetheless, where it is viable, LEAD would like to develop in that direction. LEAD with Horses is truly an asset to its community and also to making the world a better place by developing foundations for the future. They believe every child deserves a chance to thrive—and they are adamantly working to make that happen!